Hubby and I are back from Hawaii and back to the rain and gloom in Seattle. While we were in Hawaii I had a package delivered from my January Bakin’ Friend, Lizzie. This month’s secret ingredient was applesauce, Stephanie over at Steph’s Bite by Bite thought applesauce would be a good ingredient to include for the month of January since most people are looking to lighten up their diets a little bit and substituting applesauce in baked goods is an easy way to do so! Lizzie sent me Applesauce Chocolate Chip Cookies. 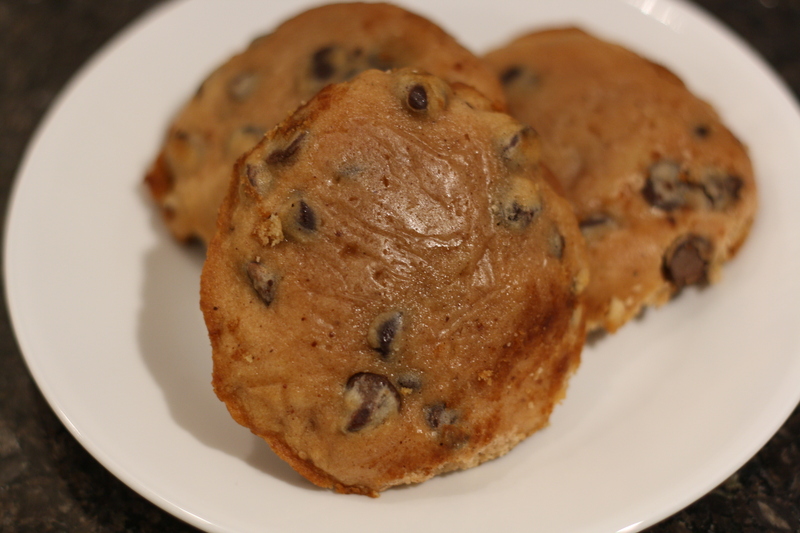 The cookies are very moist and the cinnamon and nutmeg gives them a rich flavor that is perfect for this time of year. 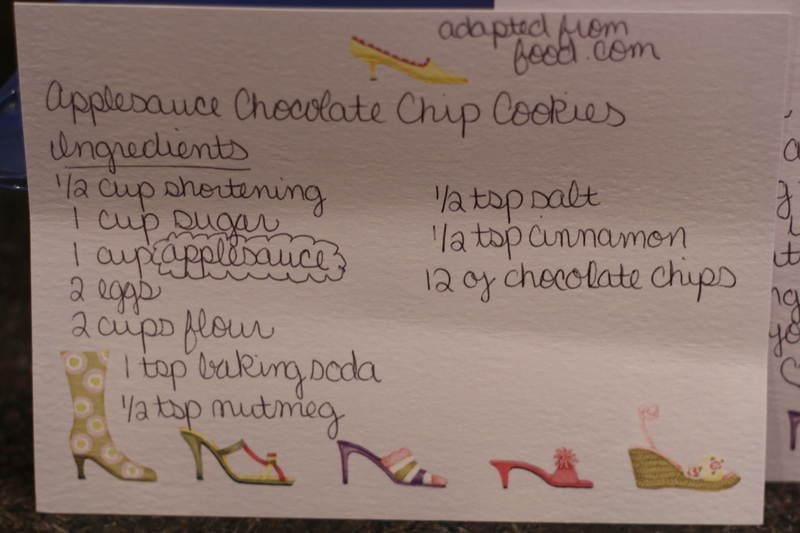 I sent similar cookies to Anne at her Bakin Friends blog. This is my second month participating in Bakin’ Friends, if you like baked goods, I would highly recommend getting involved. Also, it’s always fun to get packages in the mail, especially ones containing yummy baked goods! 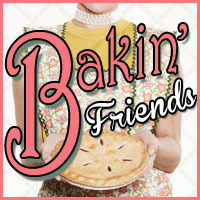 Check out my last Bakin’ Friends blog post to get the details on joining! Here’s a link to see everyone’s goodies! great minds think alike! 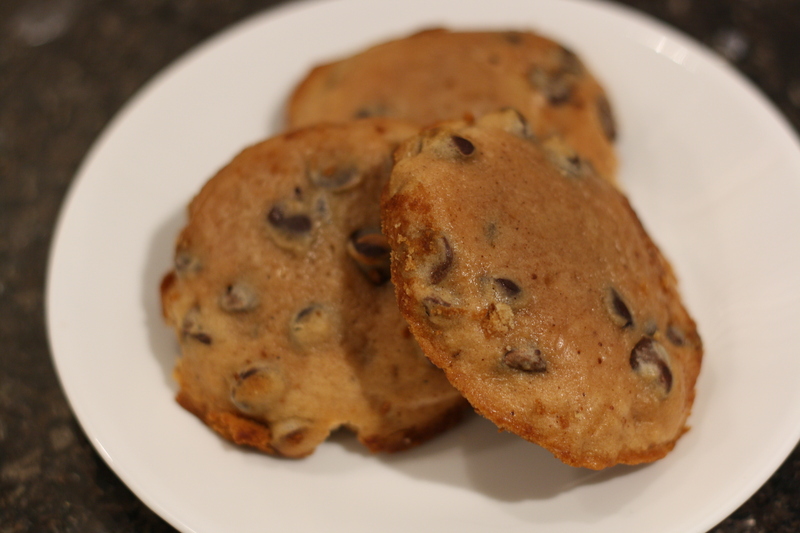 funny how you both did chocolate chip cookies! looks like a good treat to me! Oh these look divine! I’d move heaven and earth to have a cookie right now… might have to skip yoga and bake instead tonight 🙂 Thanks for sharing! Thanks! Yoga and cookies, sounds like a perfect combo to me! that looks scrumptious! and using applesauce to help sweeten things up and keep things moist is genious! Yummy!! I’ve used applesauce in some baking and the end result is always moist and flavorful! 🙂 Those cookies look absolutely delish! !